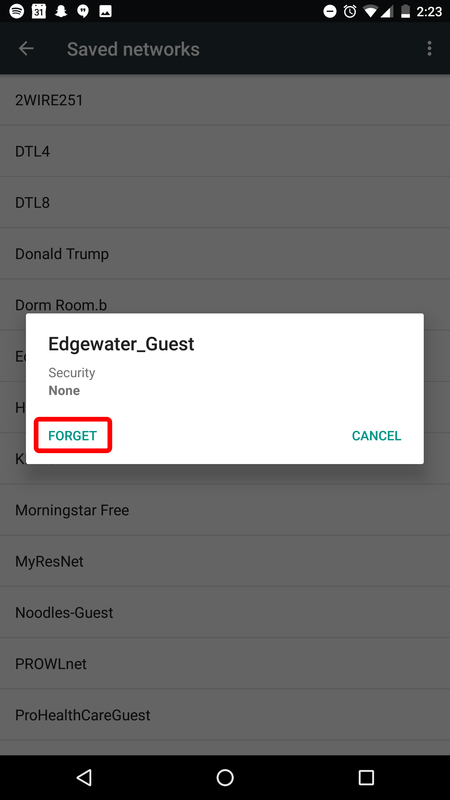 This article explains how to forget a saved WiFi network on an Android device. 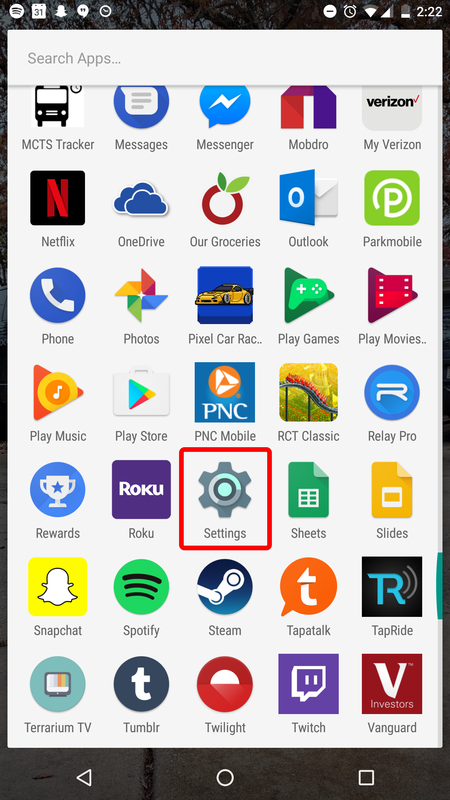 Navigate to the App Drawer on your device. 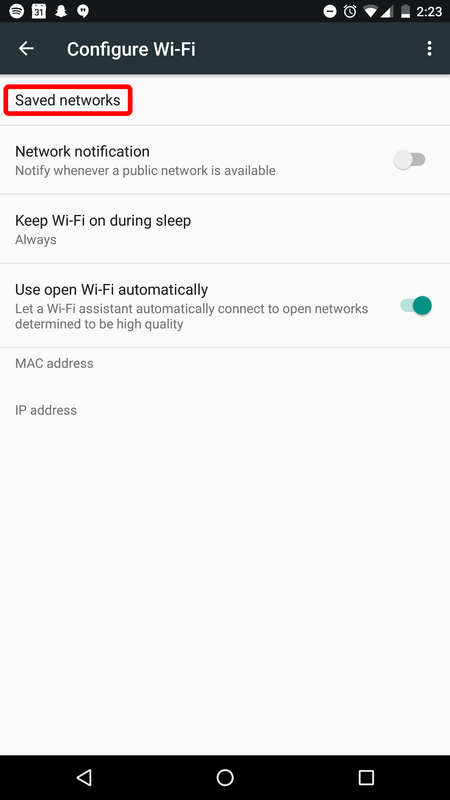 Open the Settings app, it is indicated by a gear icon. 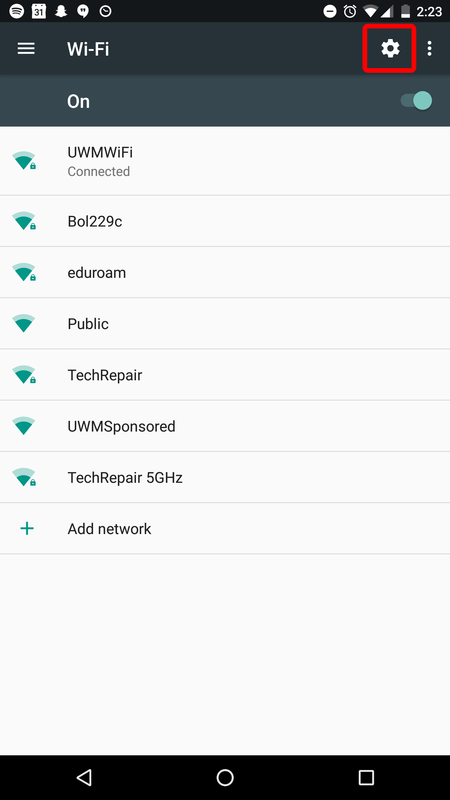 Choose Wi-Fi or Wireless & Networks. 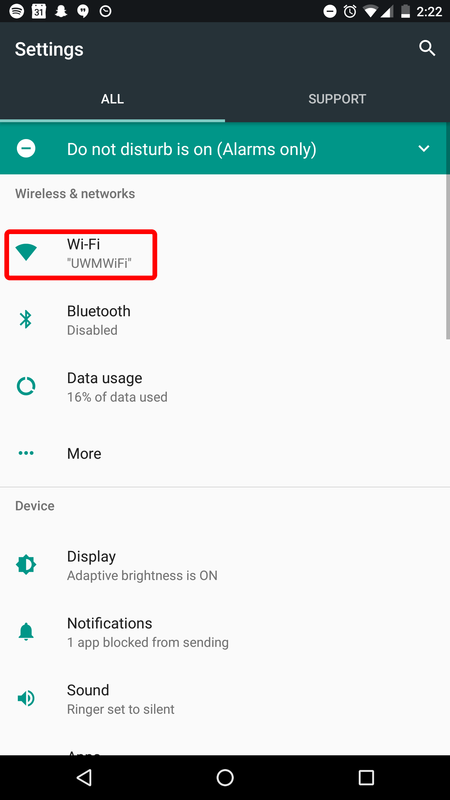 Choose Configure Wi-Fi indicated by a gear icon. 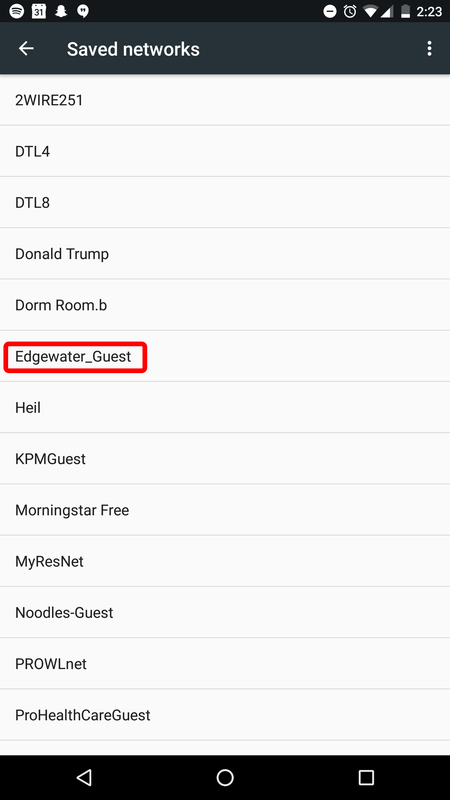 Select the network you'd like to forget, in this instance it is Edgewater_Guest.